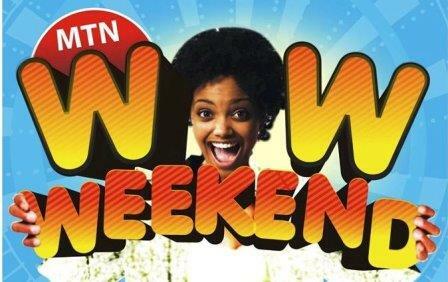 The recently introduced MTN WoW Weekend data bonus gives you 1 GB when you recharge above N500. When it was introduced, some people thought that the credit will be deducted after the weekend. Well, it was not so we said, why not use the N500 credit to buy another 1 GB and use for the week? So that you get a total of 2 GB for the week with just N500. If you don't want just 7 days data, then go for the 7 GB for 30 days. This method works best if you recharge on Friday in order to fully enjoy the WoW weekend data bonus which MTN says “it is valid Friday to Sunday night”. Buy 1.5GB for N1000 and get 7.5GB Bonus data, dial *131*106# to activate. Buy 750MB for N500 and get 2.25GB Bonus data, dial *131*103# to activate. Buy 100MB for N200 and get 500MB Bonus data, dial *131*113# to activate. To check for Bonus data balance, dial *131*4#. Bonus valid from Friday Morning to Sunday Midnight. Your money remains intact after the weekend if you did not subscribe after getting the bonus and also, you are recharging using the normal recharge USSD code *555*pin# to get your bonus 1 GB data, unlike the previous WoW weekend bonus which you have to dial the USSD code *888*pin# and they remove your N500 after the weekend. We already have the full gist about the N500 for 1 GB activation. The short story is that you must be on MTN Pulse tarrif plan to get the 500% Dealzone offers as well as a call rate of 11k/s to all networks. Dial *406# to migrate to MTN Pulse and fully enjoy this offer. You recharge above N500 (NOTE: it must be N600, or N750 not N500) on Friday and get free 1 GB data bonus for the weekend. On Monday morning, your credit is still intact, you use it to subscribe to another 1 GB; this time, you use it for 7 days. Anyway, if you finish it before the next Friday, you can redo the cycle. Don’t keep it to yourself; share this post with your friends because I want people to be running out of excuse on why they are not online. Bros,you forgot to tell us the code for the sub of #500 for one week. Yes, that has been confirmed. MTN stopped the promo price on 23rd July after an overwhelming response from subscribers, sorry about that.